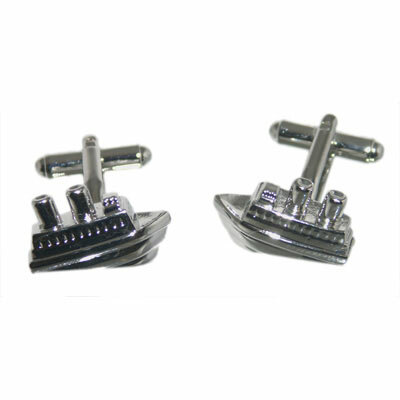 Sturdy Merchant Navy Association (MNA) Cufflinks. Supplied in leatherette gift box, matching Tiebars, Lapel badges,Coasters,Mousemats,Polo Shirts,Cummerbunds, Mugs & Zippo lighters also available. Please contact for details. 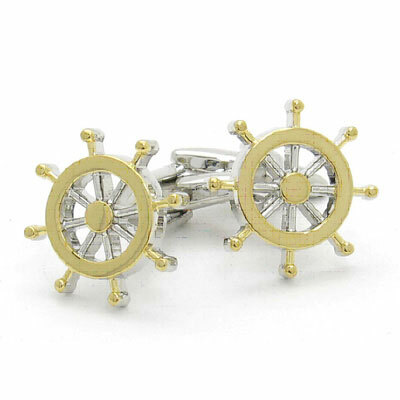 Sturdy Two tone Ships Wheel Cufflinks style Cufflinks. Supplied in a gift box.